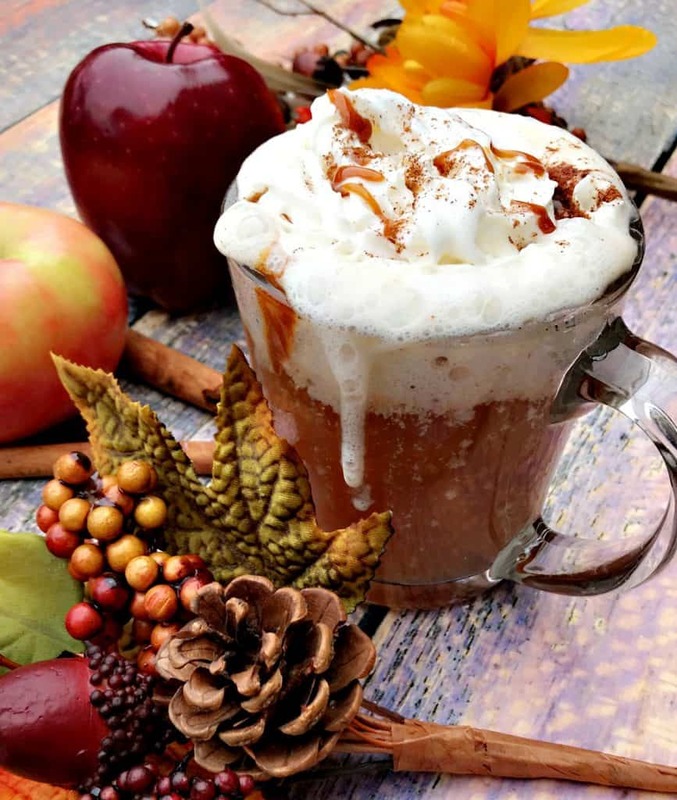 Instant Pot Slow-Cooker Skinny Copy-Cat Starbucks Caramel Apple Cider is a quick and easy crockpot and pressure cooker spice recipe that is low-calorie. 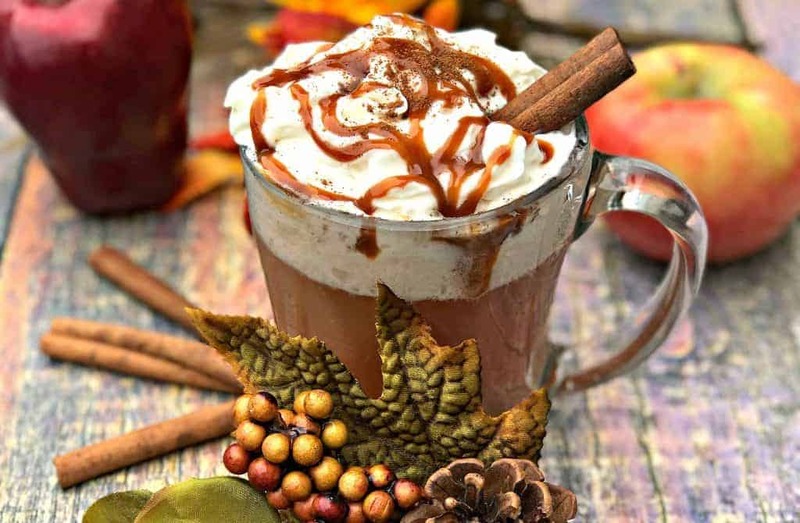 This recipe gives you one of your favorite Starbucks holiday drink favorites. 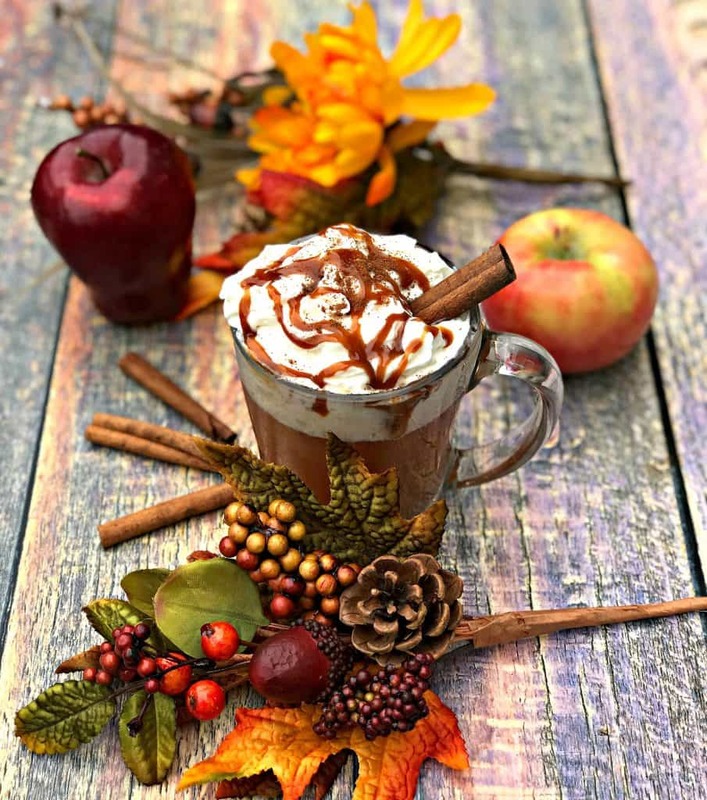 Serve this caramel apple spice for brunch and parties! For the full list of ingredients and comprehensive instructions, please see the recipe card at the end of this post. Before you scroll, there’s important stuff in this blog post. There is so much going on in the title for this recipe. Yes, I know. Let’s start with how fall really rushed into Kansas City this weekend. We have had some pretty cool temperatures this weekend. Cool temps call for warm, soothing drinks. Insert Apple Cider here. Next, I want to point out that I have full instructions on how to make this recipe using a pressure cooker and a slow-cooker. I have listened to you guys! I know that I have fallen in love with my Instant Pot, but not everyone has one. Pretty much every Instant Pot recipe I have put together can be prepared in a slow-cooker. However, I made it easier for you guys and I outlined the steps below. Now onto how I created a lightened-up version of Starbucks’ Caramel Apple Cider. The tall size of this drink at Starbucks has 300 calories and 55 grams of sugar. That goes up to 380 calories and 71 grams of sugar when you order a grande. WOW. That’s a ton of sugar. Apples alone already have more sugar than berry fruits, such as strawberries and blueberries. When you take a fruit that is already sweet on its own, add in more refined-sugar, this is the result. One gala or honey crisp apple has a little over 20 grams of sugar. There is no need to pile on the sugar when you make your own apple cider. You will probably want to sweeten it some. But there’s no need to go overboard. 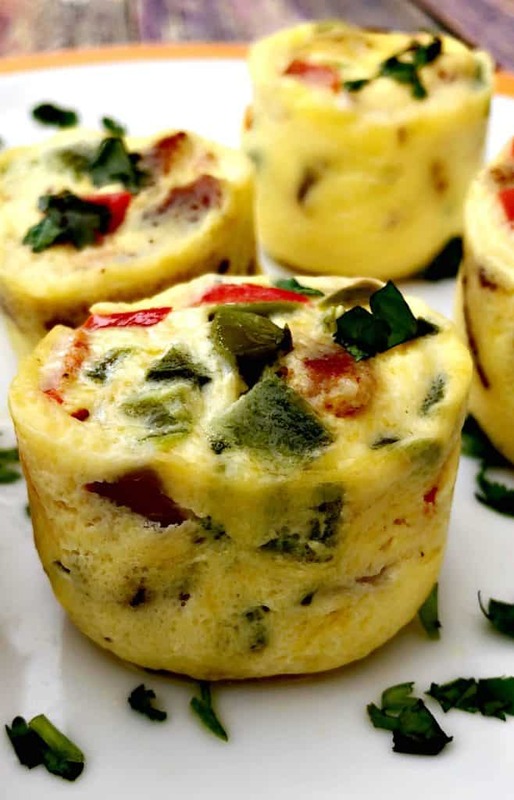 I used a little bit of organic stevia in this recipe. Feel free to add additional stevia if you do feel like you need something a little sweeter. I feel like this recipe has the perfect balance of sweet and the spices of fall. This recipe saves 33 grams of sugar in comparison to the Starbucks version. Do yourself a favor. Make your favorite drinks at home! You can save some money and potential damage to your waistline. You will have to strain this recipe to get the cider. 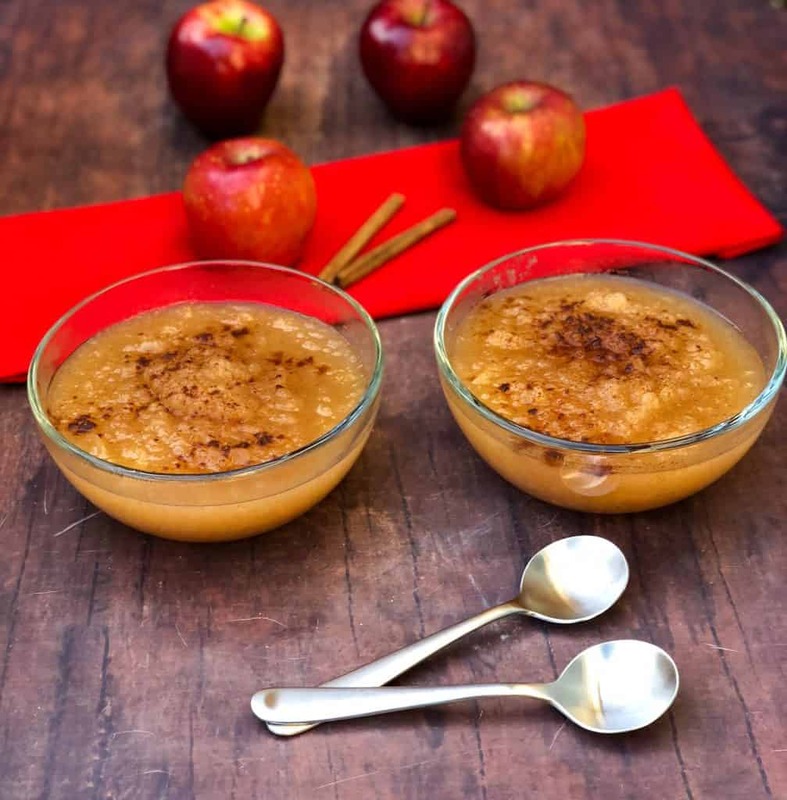 The perk here is if you are a fan of applesauce, you have a yummy fall version to save for later! Save the strained apple mixture if you wish. 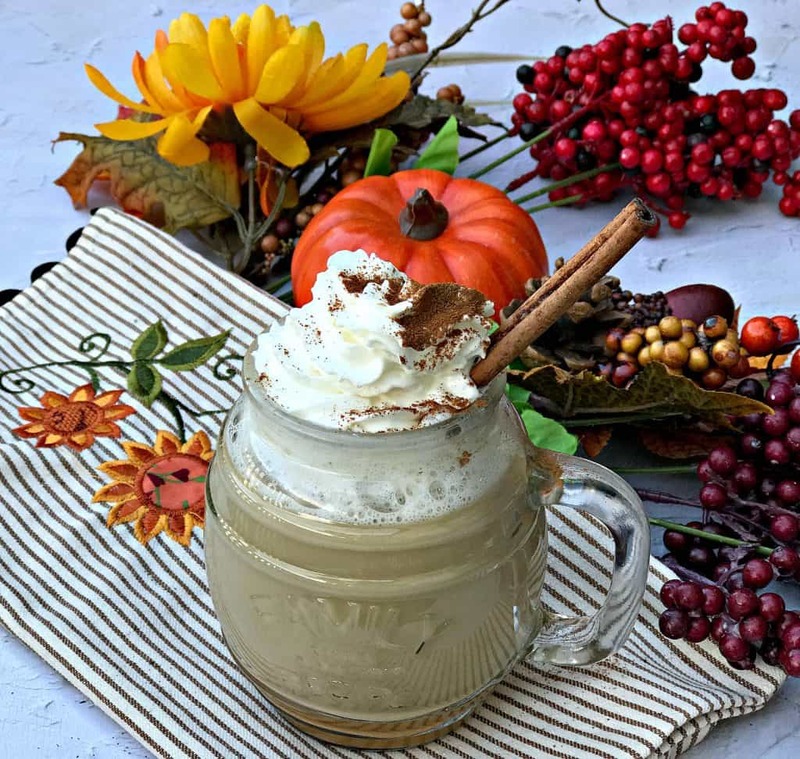 Be sure to check out my Instant Pot Starbucks Pumpkin Spice Copy Cat Recipe here! 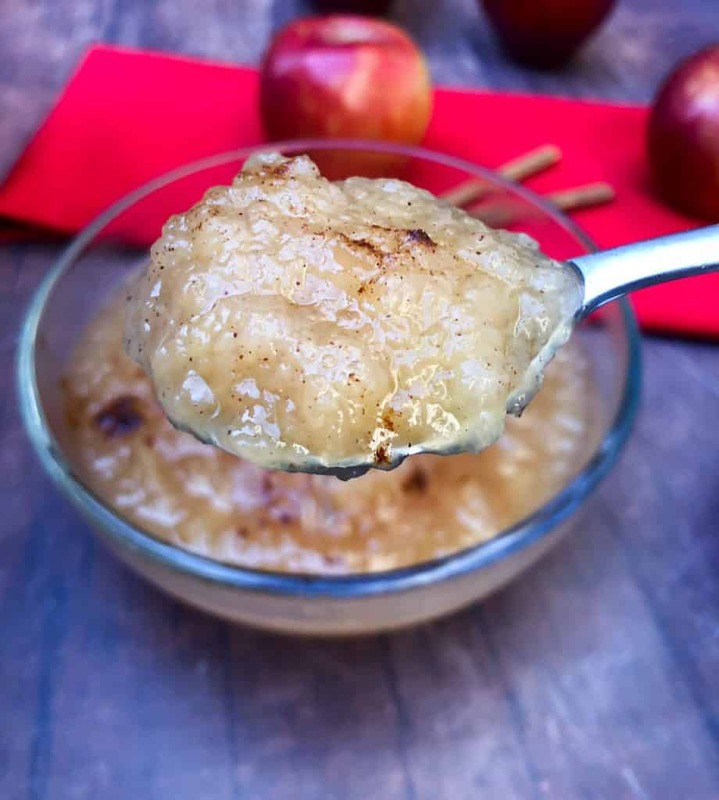 Don’t forget Instant Pot Applesauce! You can also pair the cider with Instant Pot Starbucks Sous Vide Egg Bites! 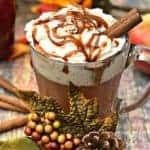 Instant Pot Slow-Cooker Skinny Copy-Cat Starbucks Apple Cider is a quick and easy crockpot and pressure cooker recipe that is low-calorie with cinnamon. Close and cook on Manual/High-Pressure Cooking for 10 minutes. When the Instant Pot indicates it is done, quick release the steam. Open the pot and puree the mixture using a hand blender. You can also mash with a potato masher. If using a hand blender, be careful! The mixture will be hot. Be careful of splashes. Blend with the blender fully submerged in the mixture. Close and cook on Manual/High-Pressure Cooking for 5 additional minutes. Quick release the steam. Strain the mixture using a strainer. Serve topped with whipped cream, caramel, and cinnamon. Combine all of the ingredients in the slow-cooker. Close and cook on high for 2.5 hours or low for 7 hours. Open the slow-cooker and puree the mixture using a hand blender. You can also mash with a potato masher. Close and cook for an additional hour on low, 30 minutes on high. Oh my goodness that looks so good! I miss having Starbucks nearby, but this gives me hope! I will have to give this recipe a go very soon. Thanks for sharing it! It never ceases to amaze me that you can make all these things in an Instant Pot! This looks so delicious, and would probably save me a fortune! This sounds delicious! I love all the seasonal fall drinks, but usually the versions at Starbucks have too much sugar for me. Can’t wait to try something like this at home, where I can adjust to my taste! What!? I love my instant pot! I have no idea you could use it this way! Can’t wait to try it! Looks amazing! I too would never have thought of doing this in the Instant Pot, but it’s a great idea! And I’m sure it tastes WAY better than Starbucks! Oh nom nom nom this looks super good! So yummy and your photography are amazing! So perfect for fall! 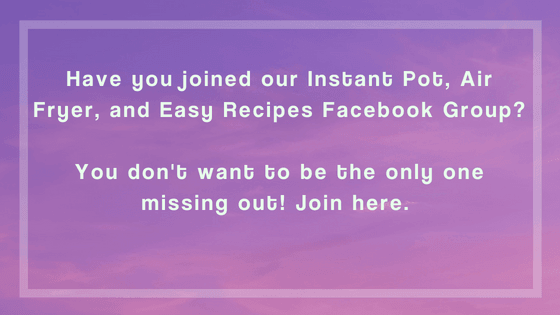 I am hearing so many great things about the instant pot at at the moment and I have to try it. This looks amazing and a great way to save money on Starbucks. Holy camoley that looks good. These are some great pictures, as well! Holy camoly this drink looks good. These are some great pictures, as well! My birthday was on the 20th. My friend got me an Instant Pot for my birthday – so I am thrilled I FINALLY get to try one of your recipes. And… you share a recipe that totally rocks! wow! This looks amazing!! We are looking to get an instant pot and I am definitely going to have to give this recipe a try for a family gathering! Beautiful… and festive. I cannot wait to try this recipe out. I’ll probably make it for Thanksgiving when we have a crowd. Now this sounds like the perfect drink for this time of year, warming and really quite easy to make, I’m going to have to give it a try! I didn’t even know Starbucks offered an apple cider! I love hot ciders when it gets cold outside so I’ll definitely have to try out this recipe! I made this one year, but it wasn’t the greatest. I think I will try yours out. It looks great! 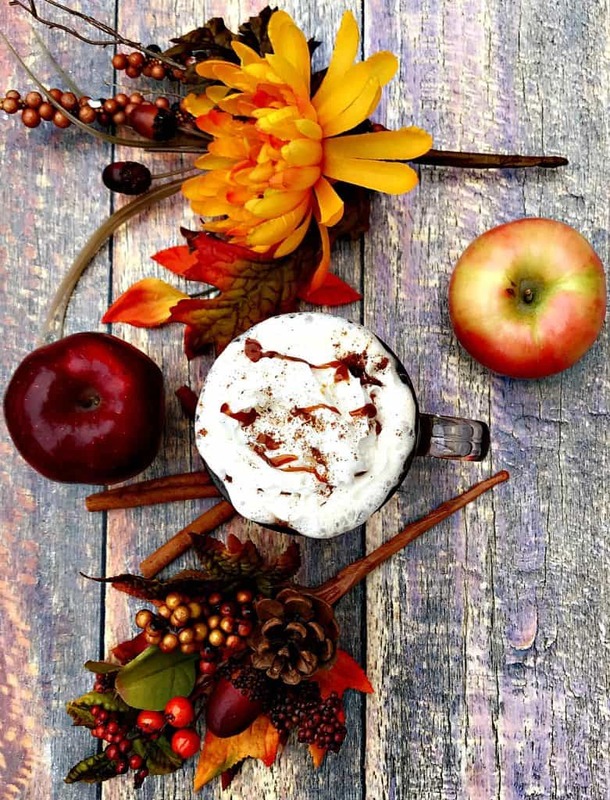 You had me at apple cider. Yum! I need to try making my own at home with this recipe. I LOVE their caramel apple cider. thanks of sharing the DIY recipe! Now I can make it at home AND skinny! This sounds amazing! I’m a big fan of apple cider but usually just buy the drink mixes, I want to try this! Boy does that look amazing!!! I would love this! Today it was 103 degrees. It’s hard to feel like it’s fall when it is that hot. 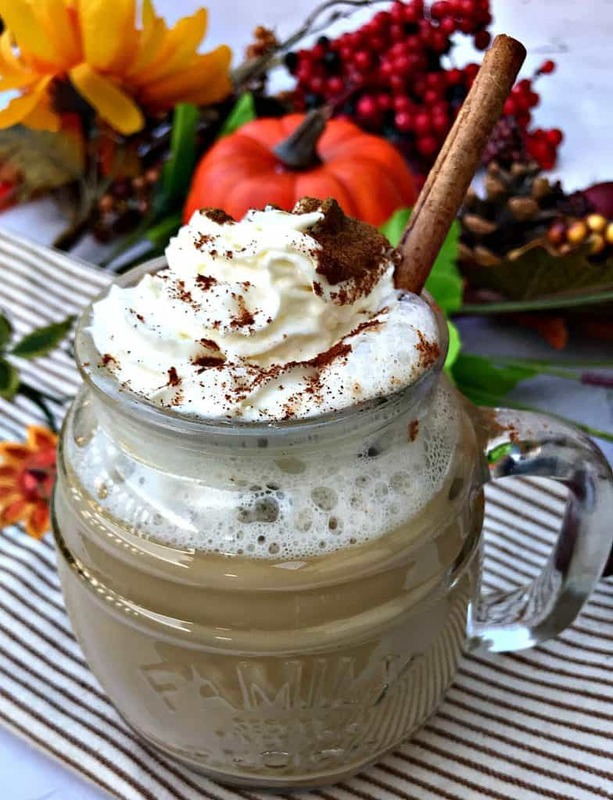 So I love fall themed treats and drinks to make the seasons feel special. This sounds so yummy! That fresh apple flavor must be so good with the cinnamon and caramel. I could really go for some of this cider! This look delicious! 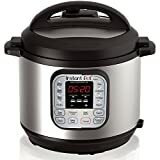 I keep hearing about this instant pot and how awesome they are. After seeing your recipe I really do need to look into getting some for myself! Thank you SO much for this! I had no idea you could make this drink in an instant pot. I’ll have to try this out. This looks so incredible and I’d almost not one to consume it when it’s presented so beautifully. We’re heading into summer now so I’m going to have to try this when it gets cooler over here! I don’t have instant pot and I think I need to have one. The recipe looks yummilicious! It is really something to try. I can’t believe that this yummy treat is just 157 calories! It looks so delish! This drink looks so good it’s making me wanted to make it this instant. 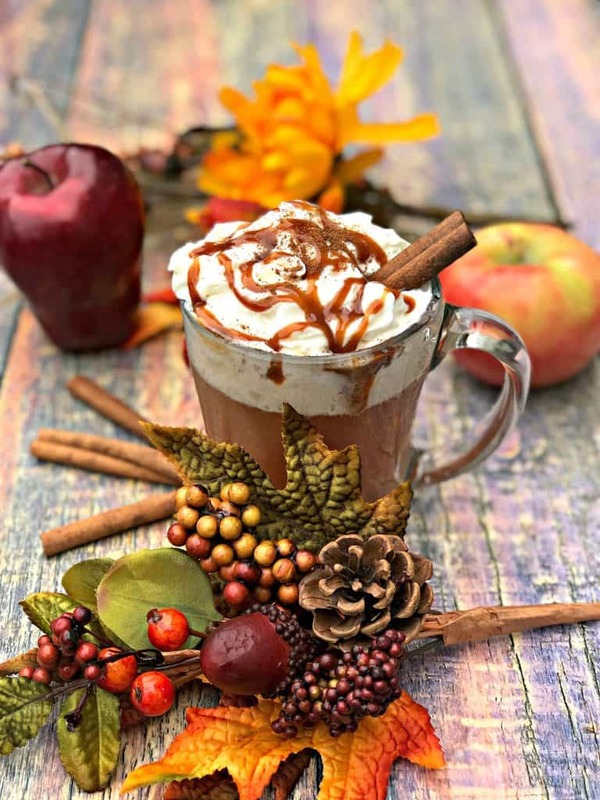 I love a good delicious apple cider so this recipe is right up my alley. Thanks for sharing!